There are two books that were recently published, both of which address a growing societal problem here in the US. The two books are “The Splintering of the American Mind” by William Egginton, and “The Coddling of the American Mind” by Greg Lukianoff and Jonathan Haidt. Both use slightly different language to address the unfortunate loss of the “commons” – that is, the principle that although we may have our differences, ultimately, we all belong to the same country and share in its most fundamental principles. This has been the bedrock of the United States since its conception. What each author notes, however, is that in a significant way, there may not even be any such thing as “being an American” anymore. Rather, we appear to have become “Balkanized” or splintered into a myriad of tightly circumscribed, oppositional subgroups (or “tribes” if you will) sharply divided along racial, socio-economic, gender, ability/disability and other lines. It’s a fracturing and perhaps demolishing of what used to be the American commons or shared identity. Further, the book authors discuss the iGen’s (the generation following the Millennials) obsession with “emotional safety”, meaning that they are used to being hyper-protected from life’s difficulties, hurts, and differences of belief and opinion. They are hyper-sensitive to perceived “trauma”, which has become nearly synonymous with any and all emotional discomfort, hurt or pain, no matter how small or trivial. That is the “coddling” of the mind the book authors address. This focus on pervasive (but ultimately trivial) emotional wounding (“trauma”) has even extended itself to the extent of being hurt by someone else’s inadvertent use of language deemed as offensive by the “traumatized” party. The basic problem here is that these societal developments have made it enormously difficult to carry on with any kind of discourse that may potentially become conflictual (and thus “traumatizing”). We remain in our protective bubbles or confirmatory tribes, unwilling and/or unable to reach across the ultimately small differences to discover our shared humanity and shared American-ness. Finally, “When adult-supervised activities crowd out free play, children are less likely to develop the art of association,” Lukianoff and Haidt write, along with other social skills central to the making of good citizens capable of healthy compromise. Worse, the consequences of a generation unable or disinclined to engage with ideas and interlocutors that make them uncomfortable are dire for society. Here at Ballibay Arts Camp, we work against this trend directly, by having lots of unsupervised play and lots of conversations to work things out. Young people have the opportunity – indeed the necessity – of developing the “art of association” and the other social skills “central to the making of good citizens capable of healthy compromise.” Paradoxically, we create a safe space to have dialogue and discomfort coexist, and to “neither play down nor fetishize identity grievances.” We accept diversity as simply different facets of being human. Not to spread too much shade, but American culture just loves “cash and prizes.” That is, we are a meritocracy: results are what matters. Winners are “winners;” losers are “losers.” This philosophy underlies the basic “rating and ranking” system of large corporations, which is used to determine who gets promoted and who gets a raise. Somebody rises to the very top of the pile; somebody must also sink to the very bottom. It is foundational to competitive television shows such as “Dancing With The Stars” and “America’s Got Talent.” Out of thousands, only one single “winner” can emerge, survive, and go on to great things. Or so we like to believe. While this Darwinist philosophy might drive business success (although we have our doubts about even that), we believe that in the realms of creative art and personal growth (maturation), this philosophy results in something approaching disaster. The arts – of all kinds – are avenues of unrestricted creativity, exploration and personal expression, not arenas of gladiatorial combat. We believe that American culture’s heavy focus on “results” (with attendant “success” and “failure”) leads to perfectionism and a claustrophobic focus on “getting it absolutely correct.” Paradoxically, this attitude does NOT stimulate greater creativity, experimentation and learning. In fact, it achieves the exact opposite: a life-choking constriction (narrowing) of focus, and jettisoning of experimentation, exploration and learning, in the utterly futile effort to create that one, single, absolutely-perfect in-every-conceivable-way outcome. Here at Camp Ballibay, we believe that learning MEANS, by definition, doing something “not-quite-right,” over and over and over again, in a very long, slow process of gradually doing it better and better, WITHOUT any end-point. There is a funny but true story in this regard. The alto saxophone jazz master Sonny Fortune, who is in his late 70’s, and who has been performing for over 50 years, said in a recent interview something along the lines of “Someday I’m going to learn this horn!” ‘Nuff said. Apparently, he is still exploring, still learning, still opening up new avenues of personal expression. The ”cash and prizes” attitude also fosters a competitive spirit, which while it may be useful in a business endeavor, spells disaster for creative arts and human development. Suddenly, instead of being about an unending, free-flowing stream of individual expression and experimentation and creativity, which are internal processes that are unique to each and every individual, the focus suddenly gets shifted toward working to meet an externally-defined outcome that generally has nothing to do with the individual, and nothing to do with expression and creativity. No – suddenly the atmosphere becomes more akin to a series of production lines, where each individual is following all the rules to create roughly the same outcome as their peer, but “a little bit better” than them. So they can win. This is the complete opposite of internally generated motivation. Instead, it shifts toward external motivation and the death of personal expression. You may or may not have noticed this, but our increasingly technological society and culture are focusing ever narrower and narrower on STEM – science, technology, engineering, and mathematics. This is certainly true of jobs and education. Middle and high schools are cutting back more and more on music, visual arts, creative writing, and other so-called irrelevant or “useless pastimes.” In an ever-more competitive world, children are slotted and prepped from birth for entry into the hallowed halls of Harvard, Stanford, MIT, Wharton and several other “prestige” (technology and business-focused) colleges and universities. We are taught now that the only way to get ahead in life is to learn coding – as in computer programs and mobile apps. Parallel to this trend and supporting it is a growing tendency to limit the definition of excellence in communication to a narrow, succinctly articulable message – as though every document were a technical manual for assembling or operating a machine. This is STEM-driven communication. Precision, specificity, particularity, linearity and logic are what’s now defined as “good”. There is one – and only one – single, precise meaning or interpretation behind this kind of communication. You get the picture. Here at Ballibay arts camp, we see things a little differently. We fully understand the overarching importance of STEM to education, careers and communication. Yes, they are extremely important. We get it. However, here at Camp Ballibay, we take issue with what we believe is the total myopia of the belief that STEM is the beginning and the end of all things twenty-first century. Everything discussed so far is “left-brain” stuff: linear, logical, analytical, precise. Mechanistic. And creativity and authentic self-expression are roughly “right-brain” stuff that picks up where left-brain stuff ends: creativity, self-expression, play, non-linearity, illogical, emotional, relational, symbolic. Even in the world of business, which is largely left-brain oriented, executives, leadership consultants and academic types are realizing that innovation, which has become the modern “holy grail”, rests largely upon the foundation of right-brained, creative capabilities. And THAT is where Ballibay Arts Camp comes into play and succeeds. We value and support and LOVE the right-brain! 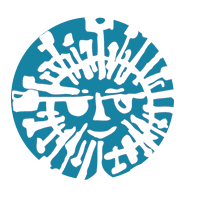 We strongly support and encourage fun, relationships, self-expression, creativity in all their glorious imprecision, symbolism, multiple meanings and interpretations, open-endedness, and plain old fun! It seems important to encourage both of these very human impulses – the impulse towards linearity and focus, and the impulse to play and explore freely. Without the latter, would we have a Picasso, a Van Gogh, a Beethoven, the Beatles, or Simon & Garfunkel? Would we have Shakespeare, Chaucer, or James Joyce? With schools turning increasingly towards STEM, we need another time and space in the year to encourage the non-linear approach to life. Camp can offer this. At Ballibay we create a safe and welcoming summer space that allows a flavor of freedom that kids are not getting in the schools, but within structure and order that kids need to feel cared for. When your child goes to a sleepaway arts camp, they will come home with more than just fun stories; they will return home with valuable life skills. We may not realize it straight away, but the skills our children can learn while at sleepaway camp — and at our arts camp — are ones that we can appreciate for years to come. 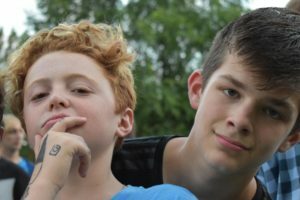 Sleepaway camps foster friendships, independence, communication, problem-solving, and responsibility, just to name a few, while arts camp adds to those skills, with creativity, confidence, focus and much more. 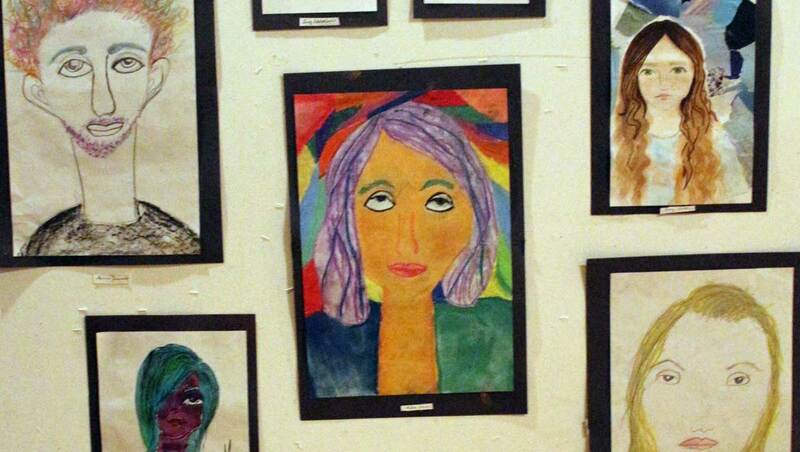 The safe, fun, and creative environment at an arts camp allow these skills to grow through many conversations, individual decisions, explorations, art programs, activities, and free time. Without parents around to “help,” young campers learn how to communicate for themselves. They develop the confidence to explore, take initiative, and communicate with those around them, including both adults and children. 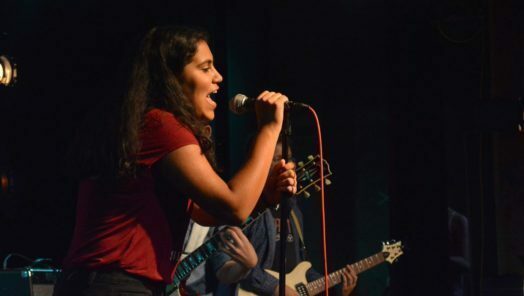 Especially in theater, music and rock camp, children learn to engage with others through multiple conversations and through the process of learning and enacting their jointly-created art. our child’s confidence and communication skills will improve so much that they will learn how to resolve issues, effectively communicate needs, and create better relationships with those around them. Theater camp and music or rock camp are amazing for building confidence. Through learning, practicing and playing on a daily basis and learning how to communicate with their peers, teachers and counselors, campers step out of their comfort zones, learn from mistakes, and adapt and grow into confident young adults. Developing the confidence to perform in front of others can translate into multiple aspects of life, whether in the performing arts or giving presentations for school. Creative expression is the very foundation of the arts, and Ballibay Arts Camp is designed to foster creative expression in our campers. We allow our campers to explore and express their creativity and work in any way they choose; we do not place any limits on them; rather we learn about their interests, support their decisions, and work with them to develop the skills they need to see a project through. We allow our campers to be unconstrained by anyone else’s categories, definitions, constraints, or prohibitions. Campers develop and create their own personal artistic expression, however they see fit to do it. See our blog about embracing children who are “different” thinkers. When young artists have a vision or an idea, they are faced with the practical problem of translating that vision into objective reality, whether that is a song, musical composition, painting, sculpture, video, movie, play, or something else. This “translation” process combines continuous problem-solving with ongoing, unfolding creativity. And this is generally done in a highly individual way, with little outside guidance or support. This ability to combine creativity with practical problem-solving (which includes critical thinking) is central to the life of an artist, but also is an immensely important life lesson for all of us. Sleepaway camp and arts camps provide the perfect spaces for any child or young adult to grow and develop as an artist and person, developing important skills each and every day. These young campers will develop these skills more and more as they progress through life, shaping them into well-rounded individuals. While Camp Ballibay campers are certainly welcome to fill their day with a variety of arts and summer camp activities, most prefer to balance their days out with some free time. We encourage campers to plan their days how they wish, whether they choose to spend a majority of the day in the theater, creating musical compositions, painting, or if they want to spend more time relaxing with friends or reading a book. 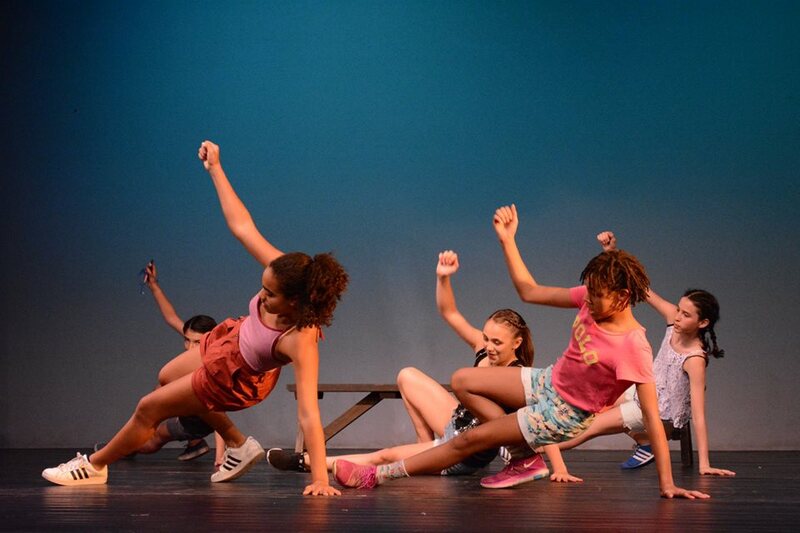 Free time plays an important role in the lives of aspiring young artists, which is why it is one of the main aspects of our performing arts camp philosophy. We all remember going outside for recess during grade school…that free time to play with friends was one of the best parts of the day. Kids get to be kids and have the time to recharge and blow off steam after sitting in classrooms for most of the day. On top of providing a space for children to explore their creativity, we encourage our young artists to take the time to explore new interests, make their own decisions, and have as much fun as possible. Your child’s time at summer arts camp is meant to help them explore and grow, so we place no restrictions on how your child spends the day. 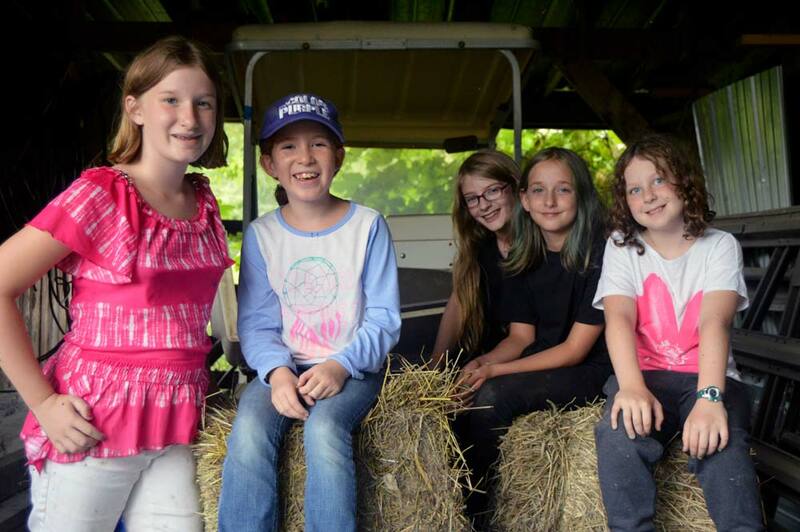 Campers can go swimming, ride horses, play sports, write music, hang out with friends, read a book – the sky is the limit. We integrate free time into their learning experience at arts camp to foster imagination and creativity, among other developmental skills. This free time not only provides a small respite, but can teach a child time management, i.e. learning how to balance free time with “work” time. Free time is important throughout a person’s life, and so it should be encouraged starting at a young age. Sometimes, it is during that free time, when our minds are at ease, that we come up with some of our best ideas because we have taken the time to step back. Whether at art camp, theater camp, rock camp, or dance camp, our campers can enjoy traditional day camp and sleepaway camp activities in addition to their arts camp programs. 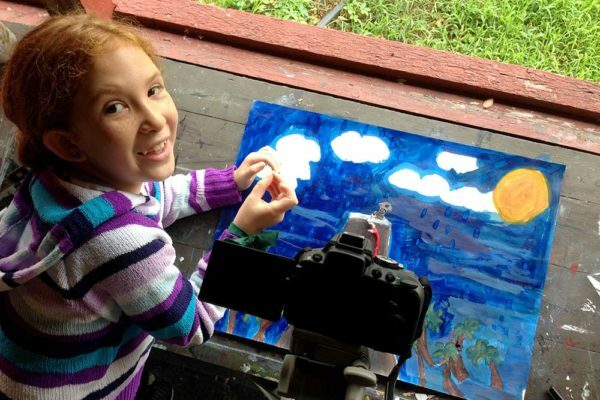 Camp Ballibay wants to help your children grow as artists and as people by offering a well-rounded summer camp experience where they get to experience a little of everything. Free time allows children the time to think, relax, dream up new ideas, and can make them happier and less stressed, which is all we want as parents. We want them to consider all options and come to decisions on their own. Free time allows for this. Each and every day our campers make decisions on how to spend their open, unstructured moments, taking into account their options, and choosing an activity that will make them happy. Here at Camp Ballibay arts camp, we value creativity, freedom, relaxation, and most of all, fun. We want our campers to make new friends, enjoy time with others on creative art projects and productions, pick up new skills, discover new passions, explore different activities & options, and create memories that will last a lifetime. By allowing them to create their own daily schedules and integrate free time into their days, Camp Ballibay campers learn valuable lessons in time management and finding balance, which is a lesson and skill we could all use and integrate into our daily lives.